Oddly enough I think developing salads really brings out the creativity in me. I love trying to figure out the best ingredients to make a salad unique and delicious. 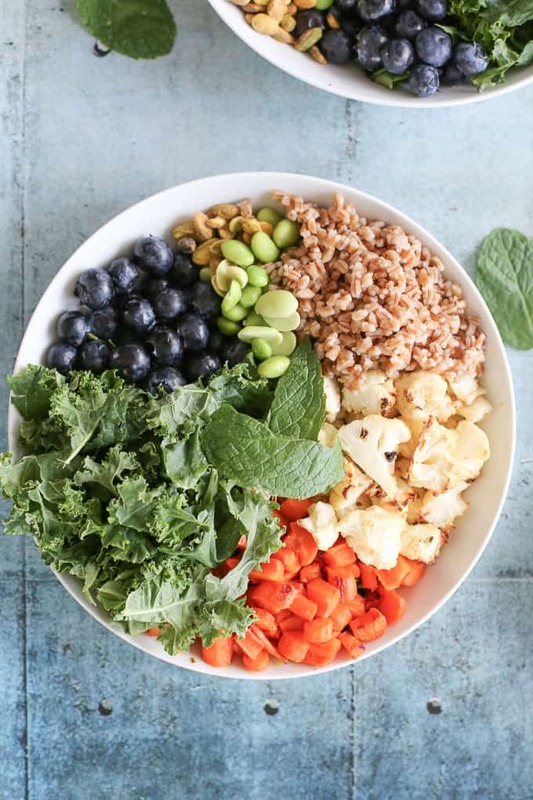 This roasted cauliflower salad recipe is out of this world IMO. First of all, I didn’t realize just how delicious roasted cauliflower could be. 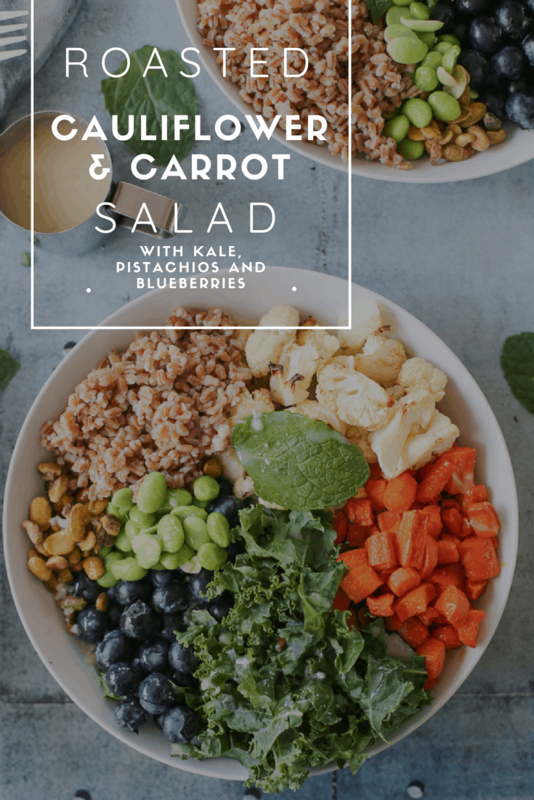 When you combine it with outstanding flavors like kale, roasted carrots and edamame, you’ve got a fantastic salad that isn’t just healthy but it’s also hearty and filling. By the way, if you guys haven’t tried edamame yet, please go out and grab a bag. It is the best. I know some people aren’t fans but it is light in calories and makes an amazing snack. You can add it to pretty much anything. In this case, it makes a great salad addition. 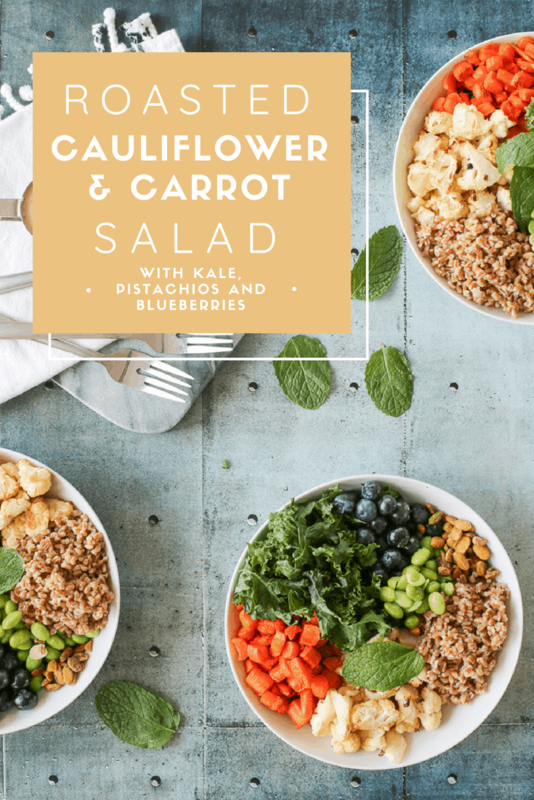 Besides edamame, roasted cauliflower, kale, and roasted carrots, this salad sports wheat berries as well as pistachios for a nutty flavor. 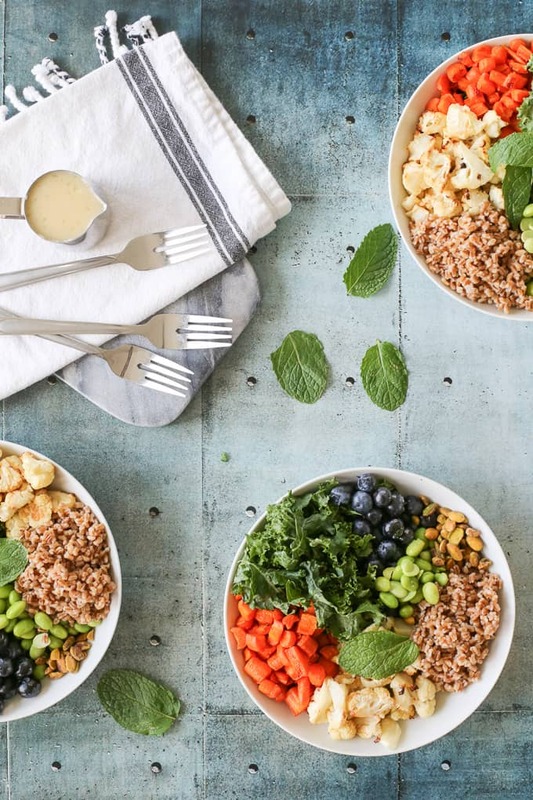 This is all topped with mint and a citrusy-tahini dressing. So good that I want to make it again! 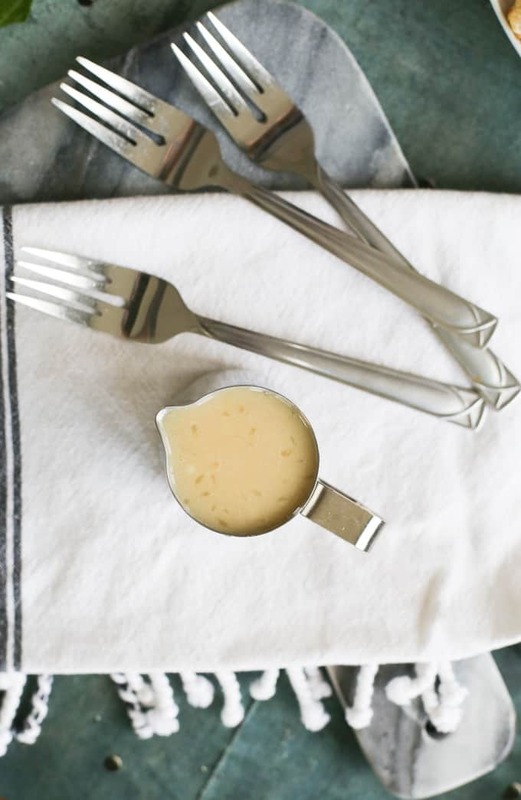 Prepare dressing by mixing all ingredients together and whisking well. 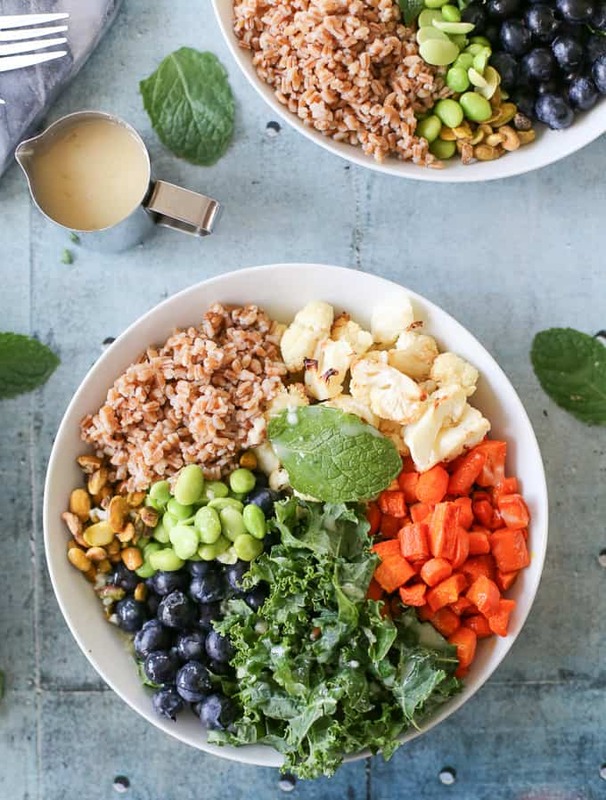 Cook wheat berries according to package directions and assemble salad by dividing each salad item into thirds and sectioning it in a shallow bowl. Top with a fresh mint leaf and serve with tahini dressing. 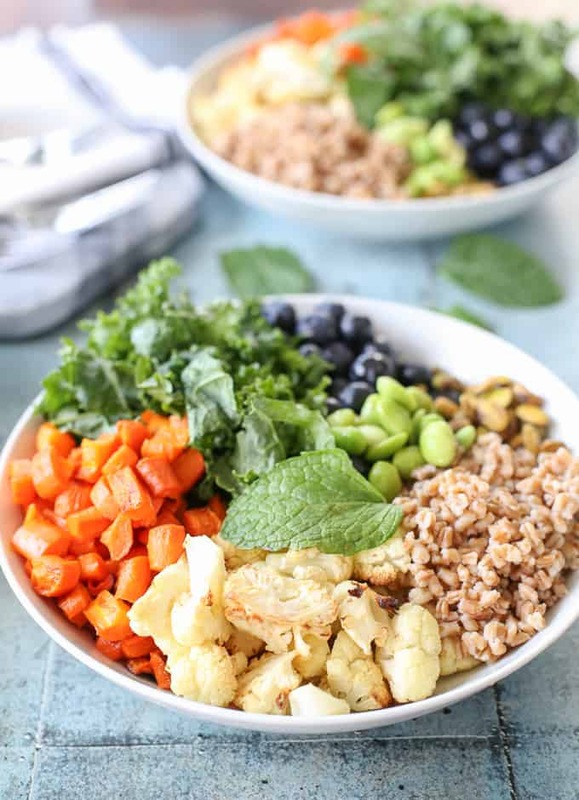 *Carrots and cauliflower can be roasted in separate pans with 1-2 T olive oil at 425F for 42-45 minutes. Beautiful photos! 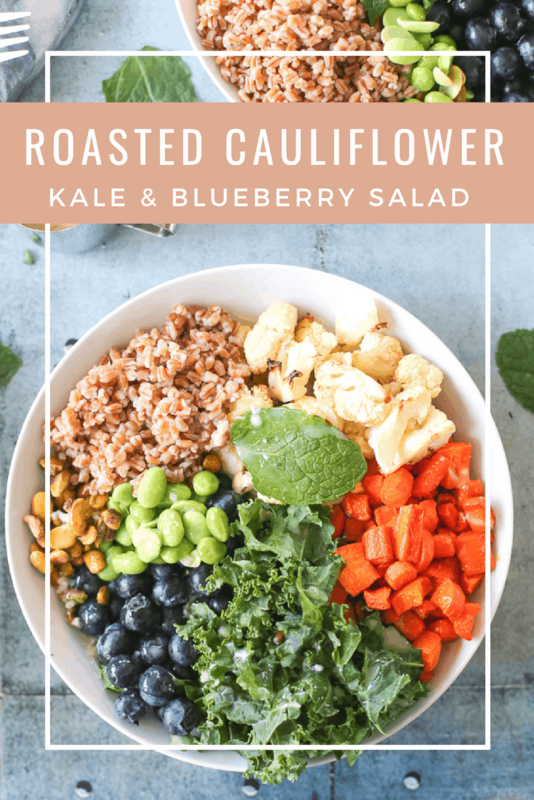 I would definitely never have thought to pair blueberries with cauliflower, carrots and edamame, but I’m all for new combinations to keep my salad bowls from getting boring!